Money Rocks (5pm on Fox Business News) – Billionaire Richard Branson is the first guest of this new series. BrainSurge (6pm on Nikelodeon) – Season premiere of the kids gameshow. Ultimate Car Build-Off (9pm on Discovery – Available in HD) – New reality series. The first episode starts off with Hollywood Hot Rods and Pure Vision given 4 days to turn a mini-van into a supercar to be raced at Willow Springs Raceway. Heartland Thunder (10pm on Discovery – Available in HD) – New reality series where 4 Dirt Modified racers battle it out at 120 miles per hour. Inedible to Incredible (10pm on TLC) – New reality/cooking series that is sort of a “What Not to Wear” for food. In the first episode they make bizarre dishes inspired by a childhood in the arctic region of Canada. Unusual Suspects (10pm on Investigation Discovery) – New documentary/mystery series where they focus on some of the more challenging mystery cases in modern-day America. First episode is “A Mother’s Conviction” where a mother of a young boy is convicted of murdering her son and years later is set free by a confession from an unexpected source. Downfall (9:01pm on ABC – Available in HD) – New game show series where players answer questions in hope of winning prizes up to $1 million. This first episode is played on the roof of a downtown LA high-rise while contestants attempt to answer questions beofre time is up. Faxes of prizes on a conveyor belt with cash ($5,000 - $1M) at the end of the belt go by as players try to answer before the prize goes over the edge of the building. Hmm. 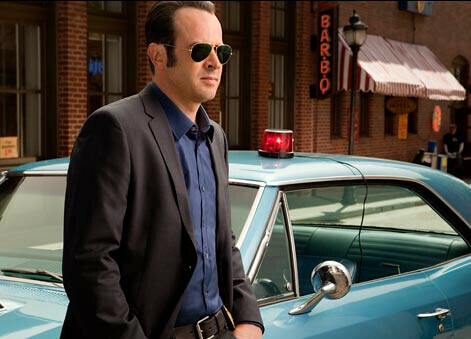 Memphis Beat (10pm on TNT – Available in HD) – New crime drama series on TNT by George Clooney’s Smokehouse Pictures studio. Memphis Beat focuses on a Memphis police detective played by Jason Lee. Harp Dreams (9:30pm on PBS) – A new documentary focused on the triennial USA Intl. Harp competition. Lots of harp music if you’re into that sort of thing. Rookie Blue (9pm on ABC in U.S. & Global in Canada – Available in HD) – New crime drama series on ABC. A group of young, rookie police officers must learn to adapt to their jobs and meet the expectations of their friends, families and co-workers. Boston Med (10pm on ABC – Available in HD) – New documentary/health series on ABC filmed at Massachusetts General, Brigham & Women's, and Children’s Hospital Boston. The focus is on the lives of the doctors, nurses and patients at these hospitals. You Lucky Dog (8pm on Hallmark – Available in HD) – A made-for-TV hallmark movie starring Natasha Henstridge and Harry Hamlin.